HomeWhite Lightning … Gator McClusky for President? White Lightning … Gator McClusky for President? WHITE LIGHTNING is the story of a bootlegger named Gator McClusky doing time in prison for running booze. 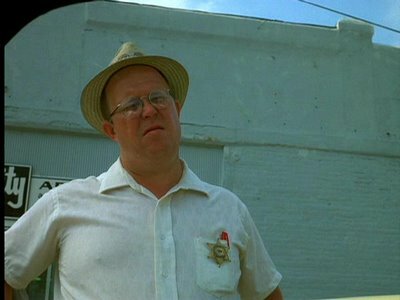 They won’t let him go to his brother’s funeral, but the Feds have an idea he was murdered by a crooked sheriff, played by Ned Beatty. So they let Gator out and give him a supercharged beast of a Ford LTD, a super sleeper that no one in the county can catch. His mission? Run booze! Run it better than the Sheriff, so they can catch him at it. Actually the mission isn’t all that clear once Gator is out of prison. He visits friends and family, he taunts the Sheriff by racing around town, he makes a few moonshine runs. He strong-arms a mechanic into sabotaging a runner’s car so he can take over, he sleeps with his buddy’s girlfriend, he shoots up a few crooked lawmen and races all over creation. This was before Reynolds got huge and let his ego take over, and he plays a backwoods boy quite well. He’s a little rough around the edges, but he can charm the bloomers off a sweet county clerk. I had never seen this minor classic, but I remember watching Gator, the sequel, on Videodisc back in the day. Yep, my father had one of those. I bought an HD-DVD player, so choosing the losing medium must be in our blood. White Lightning was a lot of fun. It’s not quite up there with VANISHING POINT and BULLITT for car movies, but Hal Needham did the stunts, and it makes for a nostalgic and enjoyable night’s viewing. I drank an Abita and remembered a simpler time, when a fast car, a quick wit and a whole lot of guts was all you needed to wipe the county clean of evil. 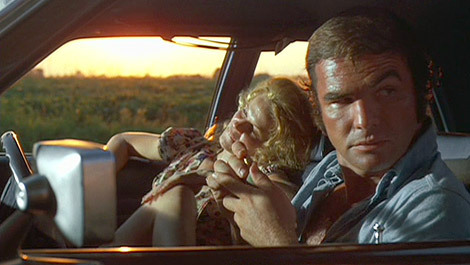 Movies like this, Dirty Mary Crazy Larry, and Mad Max certainly inspired me to write Jay Desmarteaux.